Despite cancer’s complex nature, biotech firms have cranked out approvable therapies for the disease at an impressive pace, from blockbusters such as Genentech/Roche’s bevacizumab (Avastin) and trastuzumab (Herceptin) to smaller-selling but vital compounds targeting tumors that previously were treated inadequately or not at all. Clinical blowups abound, but the gains have been real. How do the winners do it? 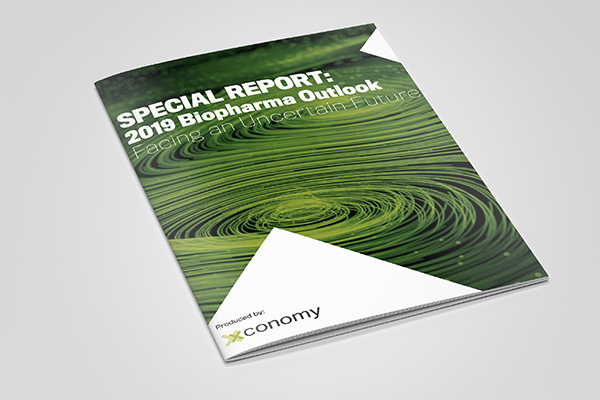 To analyze success in oncology, Deloitte Recap sifted its database covering more than 20 years of drug development at 160-plus leading biotech companies included in its Recap BioPortfolio Index. Though the firms on the roster operate with leaner R&D budgets than Big Pharma, they’ve proven their mettle in cancer. Eight top-selling cancer drugs in a set of 29 developed by firms in the BioPortfolio (including Avastin and Herceptin) generated about $21 billion in 2008. Attrition rates bedevil oncology across all stages of development. For the 164 oncology compounds in Deloitte Recap’s Development Optimizer data set, attrition rates reached 27 percent for candidates entering Phase I trials, 60 percent for those at the Phase II threshold, and 33 percent for those about to start Phase III. Non-cancer therapies fared much better. Of 402 in the database, 17 percent fell by the wayside at Phase I, 46 percent at Phase II, and 29 percent at Phase III. Among the hard-fought regulatory victors in cancer, many started with FDA approvals in orphan indications. Companies in the Recap BioPortfolio Index wisely tended to aim their efforts at such diseases, pursuing the level of success enjoyed by Takeda/Millennium’s bortezomib (Velcade). First cleared for multiple myeloma, Velcade—thanks to label expansions—has since taken its place among oncology’s elite cancer molecules, selling more than $1 billion annually. A similar story lies behind lenalidomide (Revlimid), the blockbuster from Celgene. Although zeroing-in on an orphan indication is known as a frequent strategy, the numbers of compounds victorious with the approach turned up even higher than expected, with 78 percent of FDA-blessed cancer drugs in the database bearing orphan status at their first approval. Some types of compounds have gained more ground than others, especially molecules that target receptor tyrosine kinases. The approval success rate this class of therapy reached 31 percent, compared with 16 percent for all other targets. Drugs in the class include Avastin and Herceptin as well as cetuximab (Erbitux) from Eli Lilly, erlotinib (Tarceva) from OSI/Astellas and Genentech/Roche, and Amgen’s panitumumab (Vectibix). Monoclonal antibodies and recombinant DNA cancer drugs made a strong showing, too, posting an approval success rate of 22 percent—that’s 10 approved compounds out of 45 that won approval or were terminated—compared with an approval success rate of 16 percent (19 out of 119 compounds) for all other technologies such as small molecules, oligonucleotides and naturally derived products. Receptor tyrosine kinase inhibitors, monoclonal antibodies and recombinant DNA candidates targeting orphan diseases, then, bear the better chances of marketing clearance, and using other FDA mechanisms than orphan status—accelerated approval, fast track and priority review—can improve the odds even more, as developers have long known. Deloitte Recap’s analysis, however, yielded a result that differs from other published data: Using multiple regulatory mechanisms at the same time can synergistically work to speed the development process. The numbers, examined from 27 oncology candidates in the Deloitte Recap database, are impressive. Companies that used one FDA mechanism to advance their drug showed a total mean development time of nine years, while those deploying two or three mechanisms shortened the time to 6.7 years, and companies that managed to involve all four mechanisms trimmed the interval to 5.3 years. Deloitte Recap’s detailed white-paper analysis, available here for free, concludes that taking advantage of more than one FDA mechanism at a time—as well as choosing wisely among drug classes—can do more for accelerating the pace of cancer drug development than data have suggested in the past. And this could mean more oncology winners to come.